Big Fish Games is a leading casual digital games developer and distributor company based in Seattle, US. It was founded in the year 2002, by Paul Thelen with the motto 'A New Game Everyday'. Paul Thelen's work at RealNetworks earlier where he enacted as the group's product manager came in as a handy when he founded Big Fish Games with a capital of only $10, 000. Details: Buy Mystery Case Files: Broken Hour Collectors Edition for Full Price & Get Additional Collectors Edition Games for $4.99 each. Details: Get any games for $2.99 on your first purchase. Limit onne coupon per customer. Details: Get Two Games for the price of ONE (reg. price $9.99)! Following this, the company opened their new European headquarters in Cork, Ireland, in 2009. This year also marked the renaming of their Atlantis brand to Big Sea Games. In 2010, however, this service was shut down as the company shifted to social games on Facebook and mobile apps. While the company currently focuses on computers and mobile devices, serving as distributor and developer of casual games, it also used to run cloud based games service earlier which was closed in August 2013. In 2014, the company was acquired for $885 million by Churchill Downs incorporated. Besides being involved in gambling business, Churchill Downs incorporated also owns several major horse racing tracks, including its namesake, Churchill Downs. Along with their mobile apps, the company offers a platform for developers to reach out to customers through their website. 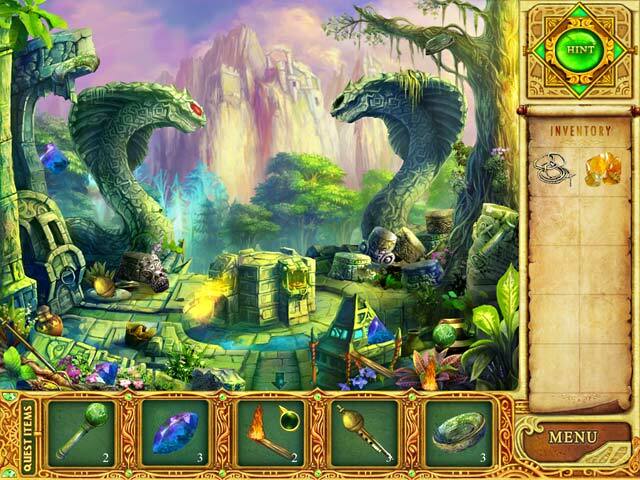 The games can be either played online, or be downloaded for PC, Mac, iPhone, iPad or android. The website offers an easy way to convert currency while making a purchase, so it's hassle free for customers to make a purchase irrespective of their countries. The customers can also join the Big Fish Games club, with which they can enjoy discount benefits from 30 to 70% with a nominal monthly subscription fee. You can also find a games forum and a blog on the website, in case you run into any specific problems with the games. The website is available in 11 different languages including English, Portuguese, Italian, French, German and Mandarin. 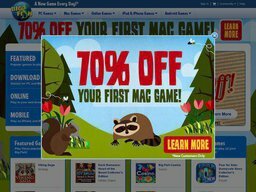 Bigfishgames.com offers a wide variety of games in all types of genres. With games genres ranging from Mystery, Adventure, Hidden Objects, and Time Management to Match 3, Dress Up, Farm, and Tycoon games, every player should find their fix. There are over 2500 games to choose from, developed by over 500 developers. If you're not sure whether to buy the game or not, you can also play it for free for 60 minutes before deciding to purchase it. When to get the best price possib;le on Big Fish Games? Look no further, coupofy has everything you need. Just scroll down our Big Fish Games section and choose your preferred coupon. Just click on the coupon code which will be directly copied to your notepad as we redirect you to their site. Big Fish Games accept payments through credit and debit cards. The website also accepts Bitcoin for game purchases. However, they can't be used for recurring Game Club payments.